In the terrible, real-life story (the Krim case) that inspired the book, a deranged nanny stabbed two young children in 2012. The nanny in the Krim case is a migrant from the Dominican Republic. In Slimani’s book, the nanny is local and one of her employers is an immigrant. The Krims’ former nanny, Yoselyn Ortega, was mentally ill but had not been treated. The psychiatrist testifying in the case said Ortega didn’t tell the doctor, who had treated her in the past for depression and anxiety, about the voices she heard in her head because she didn’t want people to think she was crazy. The nanny in Slimani’s book had a damaged past, had found refuge in her employers’ home-life, and feared having to leave after the children grew up. Like Ortega, she first slit the two children’s throats in the bathtub and then slit her own throat in an attempted suicide. The children’s mother’s first name in the novel is Myriam. The fictional nanny’s name is Louise after another murderous nanny, Louise Woodward, the British nanny convicted of involuntary manslaughter in the U.S. in 1997. While the former Krim nanny’s trial will reveal whether derangement was the cause for the murder, Slimani’s book explores the motivations of the murderer. The novel is a psychological examination of the killer and other germane issues. Lelia Slimani raises many important questions in her novel. Can parents trust a nanny? Can parents ever really know their nanny? Should a mother turn her children over to a stranger in favor of a career? The characters’ social, class, and ethnic differences in “Lullaby” touch on many current societal issues. The contradictions of motherhood, including its demands and sometimes suffocating feelings, are also raised in the book. As a young mother who employs a nanny and was brought up by a nanny herself, the author has an intimate association with the context of employing child caretakers. 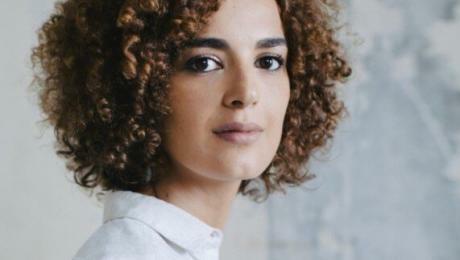 The swift popularity of Lelia Slimani’s “Lullaby” indicates that it has touched a nerve with many people in multiple countries. In France and the U.S., movie versions will introduce even more people to the details of Slimani’s book and the Krim case. The visionary science fiction and fantasy writer, poet, and translator Ursula Le Guin passed away on January 22, 2018. Her extensive fan base among readers and writers, which continues to grow, has reason to mourn being denied the continued gifts of her creative imagination and perceptive intelligence. Le Guin was a trendsetting female author who entered the mostly male-dominated genres of science fiction and fantasy. She added a new range and depth to the formerly masculine-oriented worlds of these genres. In the process, she broadened the appeal and the audience of science fiction and fantasy by discussing human and societal issues through her characters and their worlds. Unsurprisingly, her work has been translated into 40 languages. An Indian fan, Arnab Chakraborty, expressed eloquently why she will be missed and how reading Ursula K Le Guin changed Chakraborty’s expectations of science-fiction (and dragons). 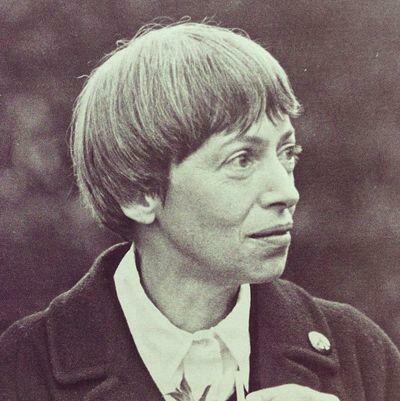 Le Guin wrote poetry books, children’s literature, science fiction and fantasy short stories and novels. She also delved into the nonfiction and realistic fiction genres. Among her English translations was the “Lao Tzu: Tao Te Ching,” her own rendition of this ancient classic that appears to have influenced her work. She also translated four other books. 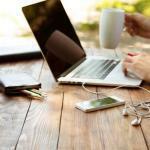 A common feature of her work is the inclusion of thought-provoking themes that grab readers’ attention, make them think, and leave a memorable impression with them. Her characters combatted dragons and other enemies without resorting to macho methods. She introduced readers to a distinctive style which encouraged readers to question stereotypes and boosted the critical thinking capacities of readers of all ages. In an interview in 1989 she revealed that she began writing science fiction because it was a genre in which she knew she could sell. She is best known for her “Earthsea” and “The Left Hand of Darkness” series. Le Guin’s fiction challenged readers of all ages to consider the moral issues her protagonists dealt with. This started with her young adult novel, “The Wizard of Earthsea,” where Ged the wizard has to fight his own creation, learn the hard way that one can create something bad, and take responsibility for that by ending its destructive capacity. Read Le Guin to experience writing with depth and beauty. In crime fiction, location is as important as the plot to make the characters and setting more real for readers. It is rooted in a particular place and time. Most often, crime novels are set in cities; some cities inspire more crime writers than others because of their grit. Belt Publishing’s City Anthologies reveal the grit in each city subject. 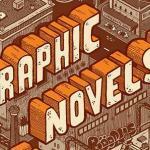 These anthologies cover cities that tend to be less written about and so are venues for creating a writer’s distinctive brand setting. 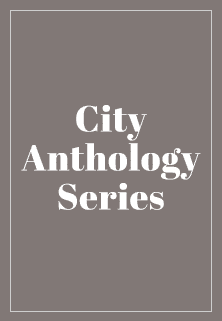 So far, the City Anthologies’ subjects are Akron, Cincinnati, Cleveland and Youngstown in Ohio; Detroit and Flint in Michigan; Pittsburgh, Pennsylvania; and Buffalo, New York. This anthology contains 22 contributed essays. Like every volume in this series, the contents include the individual viewpoints of the diverse people who have lived in the city. This book contains the viewpoints of natives from the many walks of life in the Queen City. Like others in the series, this one helps residents and outsiders get to know the different aspects of the city from the personal viewpoints of local contributors. This is the book that started it all. Read to see why it inspired a growing collection of city anthologies. Youngstown has one of the grittiest environments in a state full of gritty Rust Belt cities. Here, locals share the moments that define their city and their experiences with it. Flint’s water crisis made national headlines. In this collection readers learn more about the city. Like all cities, Flint is imperfect but has devoted residents. The title of the collection reveals the general gist of what is reflected in the contents. This anthology has almost 40 contributing participants. The Pittsburgh collection’s diverse contributions reveal the contradictions in this picturesque city that has had many ups and downs. This anthology covers decades of history, events, and experiences with the contributions of 65 people. According to the Buffalo News review of its contents, it is an essential book about the city. Writers looking for the right setting for their gripping crime fiction can begin with the cities covered in the City Anthologies. They will get a feel for any or all of the cities, through the eyes of those who know their cities intimately in their own way. Crime fiction usually involves solving a mystery or why it occurred (such as “Crime and Punishment” by Dostoevsky and “Chanson Douce” by Leila Slimani). Crime fiction captivates readers by engaging their curiosity and desire to solve puzzles, and providing escapist entertainment that offers a break from their mundane lives or touches an inner fear they have harbored (for example, untrustworthy mates, killer nannies, and death by medicine). Since the 1841 publication of Edgar Allan Poe’s, “The Murders in the Rue Morgue,” crime fiction has blossomed to become a genre with an ever-expanding community of writers. 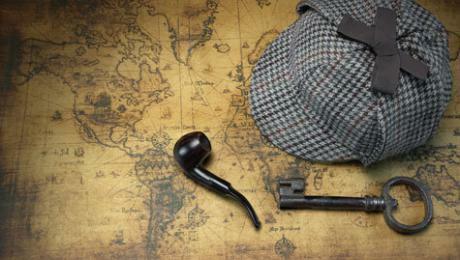 A US phenomenon before it crossed the Atlantic, crime fiction was a recognized genre by the 20th century. The Cozy Mystery—In this sub-genre the detective is usually not a professional, the violence is not graphically described and usually not visible, and the story often has a small-town or rural setting. The sleuth is typically an intuitive and intelligent woman whose professional connections may aid her deductive skills. In this genre the focus is on character development and plot. Think Agatha Christie and her Miss Marple character. General Suspense—This usually involves an ordinary person whose need to solve a problem sometimes involves finding a way to exonerate themselves. Think Gillian Flynn, Lee Child, and Dennis Lehane. Private Detective Stories—In this sub-genre, the detective often works in a notable city, and there is explicit violence. Think Mike Hammer, the detective imagined by Mickey Spillane. Modern examples include Sue Grafton’s character Kinsey Milhone, Lawrence Block’s character Matt Scudder, and Janet Evanovich’s character Stephanie Plum. Police Stories—Think James Patterson’s character Alex Cross, Ian Rankin’s character Rebus, and Michael Connelly’s character Harry Bosch. The protagonists’ stories include professional and personal issues, not just the actual crime that sets the stage. 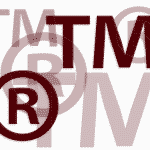 Legal Thrillers—Think Scott Turow’s and John Grisham’s stories. 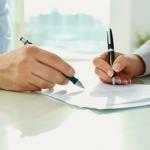 The writers are often trained lawyers with a talent for creative writing. For example, Turow not only once taught creative writing at Stanford but is also a Harvard Law School graduate. The Medical Thriller— These are usually set in a hospital, and the story involves medicine or its effect on an actual character. Think Michael Crichton, Robin Cooke, and Tess Gerritsen. The Forensic Thriller—Such stories usually have a protagonist who is a pathologist or a scientist. Think Patricia Cornwell, Jeffery Deaver, and Kathy Reichs. The Military Thriller—In this sub-genre the protagonist typically is in government service or a former serviceman. Think Tom Clancy. Writers who want a career should try crime fiction. To write proper crime fiction, read crime fiction. Joining a writing group or an association, signing up for one or more workshops, and taking classes will also boost writing skills. 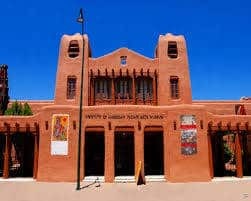 The Santa Fe-based Institute of American Indian Arts (“IAIA”) provides a Native American art and culture-centric curriculum. Since 2012, the IAIA has offered a MFA in creative writing. In 2014, IAIA established a bi-annual writers’ festival; and in 2017, it awarded its first Sherman Alexie Scholarship of $7,500 per semester. IAIA is the only multi-tribal higher education institution in the country, originally established in 1962 as an art-focused high school. This unique institution is dedicated to the study, creative application, contemporary expression, and preservation of Native American culture and art. Indigenous students from the U.S, Canada and other countries benefit from what the Institute has to offer. IAIA also offers Associate and Bachelor degrees in Indigenous liberal studies, creative writing, the cinematic arts and technology, studio arts, and museum studies. The MFA program in creative writing is a low-residency program (requiring five residencies) that also provides off-campus online education. 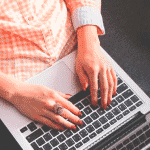 The MFA in creative writing program allows writers to work on their craft and learn more about the process of getting published and associated issues. Sherman Alexie teaches for the program, and do two of its first graduates, Terese Marie Mailhot and Tommy Orange. Mailhot and Orange are also the authors of the critically acclaimed “Heart Berries,” a memoir, and novel “There There,” respectively. The Sherman Alexie Scholarship’s first recipient, Jamie Natonabah, a Diné, is an alumnus of the IAIA, whose favored medium is poetry. She already has a distinguished resume. She is a winner of the New Mexico Slam Poetry Competition. “Red Ink: An International Journal of Indigenous Literature, Arts & Humanities” has published her work. She has also contributed to “Bone Light” and “Fourth World Rising,” two of IAIA’s literary anthologies. Chelsea Hicks Bryan, an Osage, and Grace Randolph, a Wampanoag, were selected as runner-up and third-place recipients of the award, respectively. The MFA program provided more than $200,000 in scholarship money in 2017, including the Alexie scholarship. Applicants for the annually awarded scholarship must belong to a Native American tribe or First Nation and submit a work sample. The deadline for the 2018 award was February 15. The IAIA provides terrific Associate, BA, and MFA programs for Indigenous writers to help them improve and refine their skills. Since the 1970s, Native American writers have increasingly published their work for an English-reading audience. The IAIA wants to build on that foundation and nurture more talent by offering dedicated educational programs. However, since its expertise is also open to non-American writers, Indigenous writers who may not have such educational opportunities in their home countries should take advantage of IAIA opportunities.